Christy Canida, sharing taxidermy (and more) – 24 hours of Lady Ada Lovelace day #ald10 « Adafruit Industries – Makers, hackers, artists, designers and engineers! Each hour we are featuring a woman we admire who is currently doing amazing work right in the tech/maker/art/science space. Woman of the hour, Christy Canida. 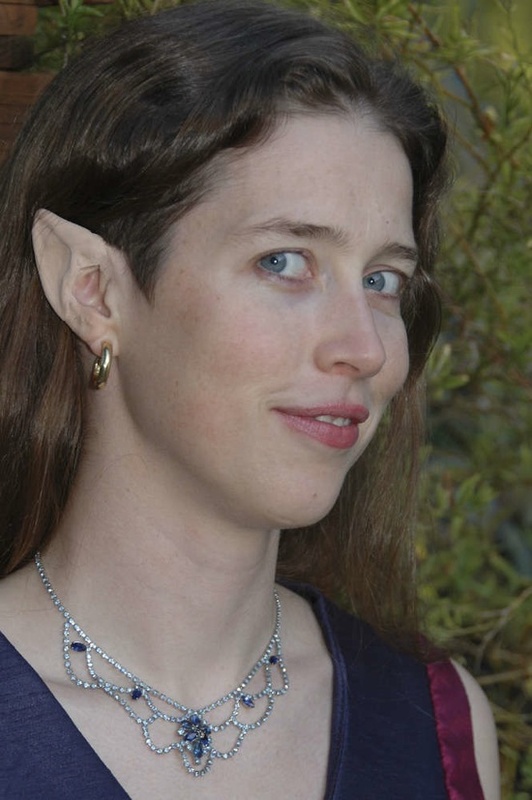 Pictured above with DIY elf ears. Christy Canida earned her SB in Biology from MIT, and worked in transgenic mouse labs, an aquarium, and the biotech industry before joining Instructables. She loves cutting things up, experimenting with food, and dancing in costumes. Christy makes amazing things we love to read (and make) and also runs Instructables with the great team there. 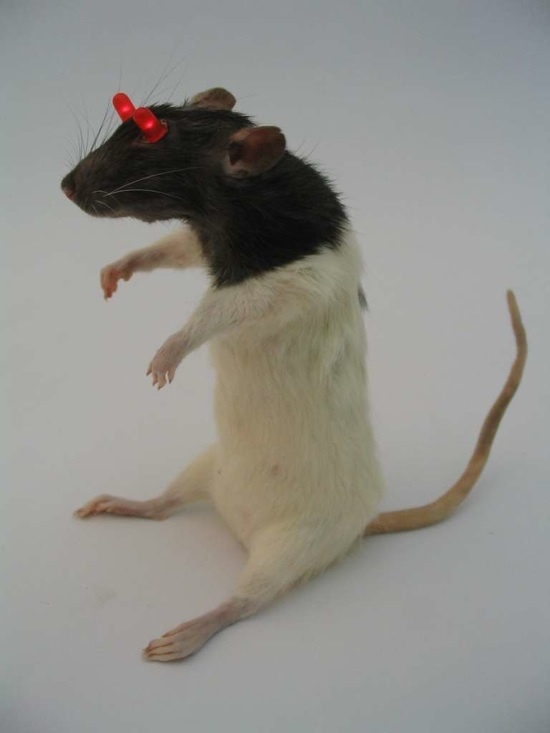 She’s the originator of the LED rat throwie. You can see all 115+ of Christy’s how-tos and Instructables here. Really? LED Rat Throwie? It looks so creepy this is going to give me nightmares! This just makes me realize how perverted I am to wear a leather jacket. I respect Christy and her work but this particular piece is not necessarily something I’d show off too eagerly. Almost forgot: I’m a neuroscience grad student and sadly, I know my way around lab animals, too.